I am one of those people on the fence about medicine as well. I think a good amount of rest and some vitamins can sometimes do the trick, but on the other hand I do think cold medicine or, when available, antibiotics can help. I think this placebo effect can honestly go both ways. Sometimes when I take Advil, I take it with no hope of it helping because I sometimes think I’m immune to it. However, sometimes it does end up helping. 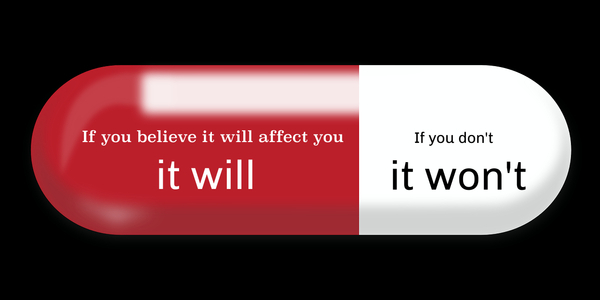 On the other hand of the placebo, people who do take it and get better could just feel better by taking it. I think this double edged placebo effect is something to take into account. I usually think that certain medicines work for me such as advil, tylenol, and ibuprofen because if I can tell an actual difference between the pain before the medicine was taken and the decrease in pain after… then something clearly worked. On the other hand I agree that a placebo effect takes place in certain cough/cold medicines. There are times where I will take one of these pills to relieve my cough and due to me not coughing for a period of time I think it works, other times if I continue to cough I think the medicine doesn’t work at all, making me not want to waste my time taking it again. Often in life I feel better as soon as I take some Tylenol or Ibuprofen, which always made me curious. How do you feel better as soon as you swallow the pills? Shouldn’t it need to break down first? Obviously, I now know this is due to the placebo effect, but it still interests me greatly. I’m usually a person that prefers to just wait out an illness over going to get medicine, because I’m incredibly stingy with my money and like you, prefer to just wait it out. Therefore, I too am not changed by reading this article. I’m a Sufferer through and through, and while it may not be smart, I know I’ll do it regardless.